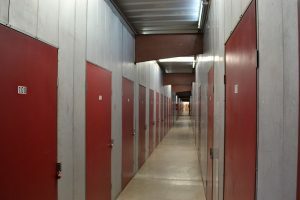 Home » Self Storage » What Size Unit Do I Need? Picking the right sized unit for your needs can be stressful, let us help! Typically stores items from a studio or small one-bedroom apartment including mattress set, table and chairs and various sized boxes. Perfect size for a student storing home furnishings during the summer months. Perfect for storing business documents. Typically stores furnishings from a one or two bedroom apartment including washer and dryer, refrigerator, furniture and many various sized boxes. Perfect size for a small business that needs to store records and other items. Good size for small ATVs, motorcycles and other small equipment. Typically stores furnishings from a two or three bedroom apartment including washer and dryer, refrigerator, mattress sets, furniture, patio items and a large number of boxes. Good size for small ATVs, motorcycles and other small equipment. Typically stores furnishings from a three or four bedroom apartment including washer and dryer, refrigerator, mattress sets, furniture, patio items and a large number of boxes. Good size for a vehicle or small boat. Typically stores furnishings from a four or five bedroom apartment including washer and dryer, refrigerator, mattress sets, furniture, patio items and a large number of boxes. Plenty of room for a vehicle, boat, ATV’s, motorcycles and other large equipment. Great size for business storage. Outside storage for cars, boats and RVs. Call for availability.